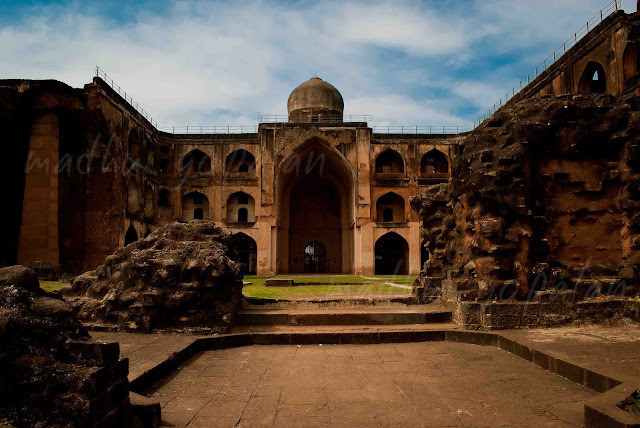 Only 140kms separate two medieval kingdoms of South India - Golconda (Hyderabad) and Bidar, both of which were part of one large kingdom once upon a time. During the Diwali weekend, we travelled this distance, to visit the capital of the Bahmani and Barid Shahi dynasties. 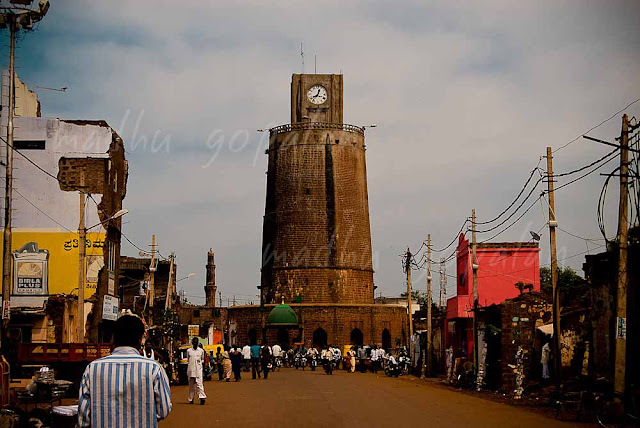 Right in the middle of Bidar, is this imposing watch tower, the 71 foot Chaubara built as an observation post, keeping an eye over the ancient town. 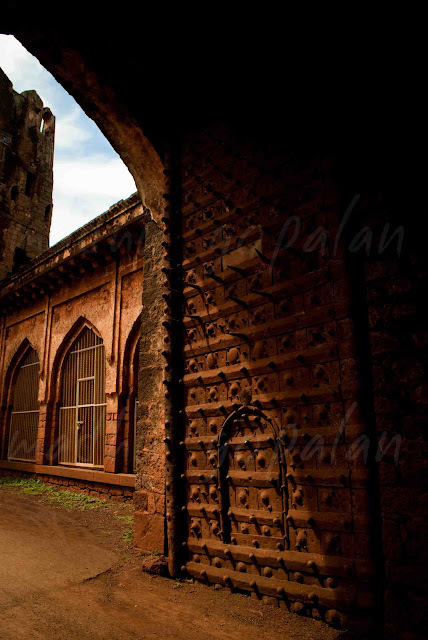 The old ciy of Bidar is a walled city, surrounded by a triple moat fortification. 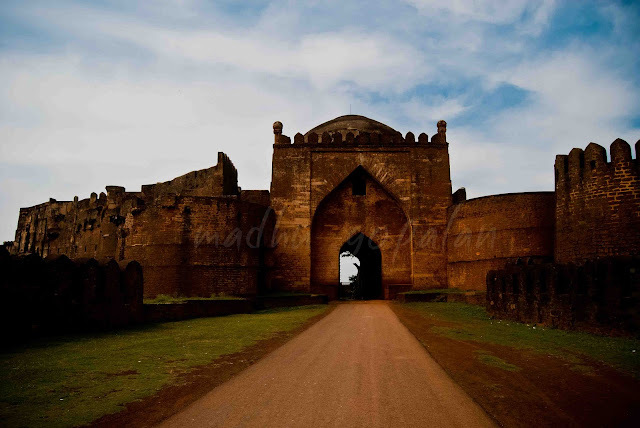 The Bidar Fort has seen the rise and fall of several dynasties. 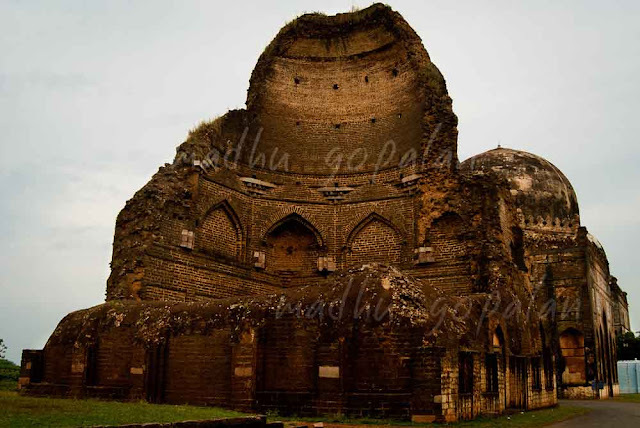 It is said to have been built during the reign of the Chalukyas, and was later a part of the Kakatiya kingdom, until it was taken over and extensively modified and expanded by the first Bahmani Sultan Allauddin Bahman Shah. When the Barid Shahi sultans took over the kingdom, more additions were made. 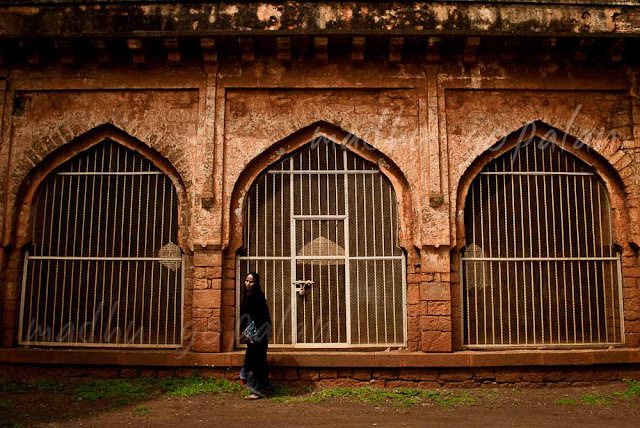 Since Telangana, the Carnatic and Maharashtra converge at Bidar, and the town is located about 200 feet above the surrounding plains, it is no surprise that this strategically located town was favoured by so many dynasties. The fort is imposing and magnificent, and the best part is, it is so huge, that you can actually go around it in your car and visit all the different areas. We reached the Gurdwara Nanak Jhira Sahib at lunch time, so I dont have any pictures, but here's a link. We saw the beautiful white gurdwara from the outside, and had our lunch in one of the awesome Punjabi eateries nearby - one of the best meals I've had in a long time. Refreshed, we headed back to the old city, to watch how Bidri work is done. I'll post about that separately - I shot a series of pictures there. Next, we drove to Ashtur, where the ancient, ruined tombs of the Bahmani Sultans dot the green countryside. The lofty tombs are decorated with calligraphy and beautiful mosaic tiled panels, some of which are still intact. And now for what was probably the most fascinating part of the trip for me. The dome on the tomb of Sultan Humayun Shah, the 11th Bahmani ruler was struck by lighting many years ago, and split open. Since only half of the dome exists now, it offers a unique view of both the inside and the outside. 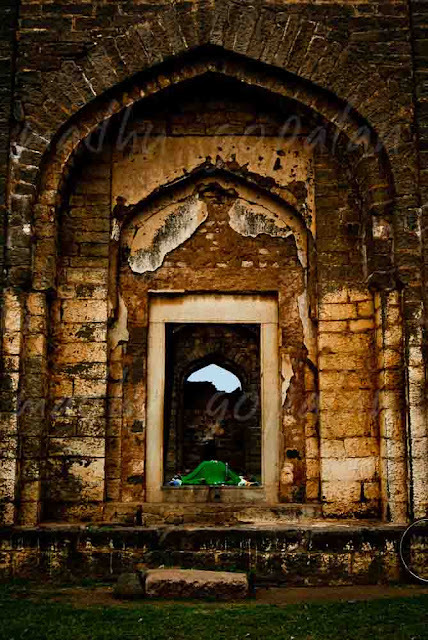 Interestingly, Humayun was a very unpopular king, and was called Zalim (cruel) by his subjects, so there is a popular legend that the tomb being struck by lighting, was God's way of punishing him. Our day ended with stops at two temples. The Narasimha Jhira Temple in which one needs to wade through an underground stream of chest-deep water in a dark cave (We didn't have extra clothes, plus it was too scary, so we gave that part a pass), and the Papanash Temple, where Lord Ram is believed to have installed a Shivalinga on his way from Lanka to Ayodhya. 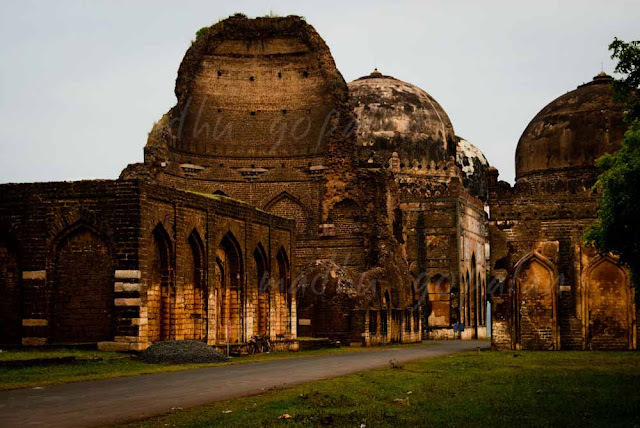 While driving towards the highway to Hyderabad, we passed the Barid Shahi park, where the Barid Shahi sultans are buried, but couldn't go in to take a closer look, because it was very dark already, and we had a long drive home.